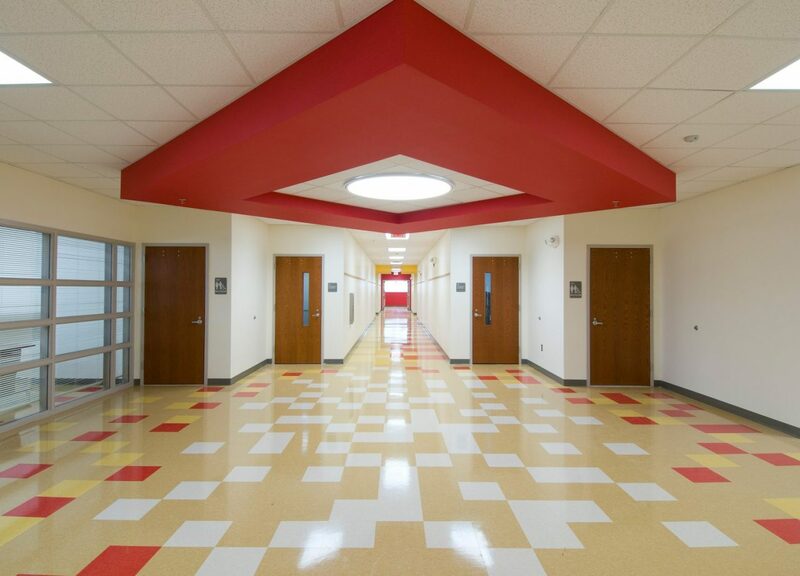 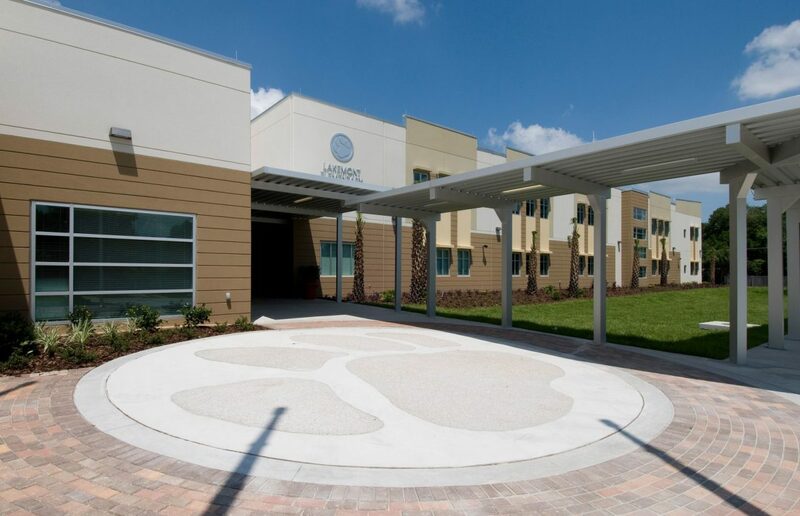 Lakemont Elementary School | Wharton Smith, Inc.
Based on a compact, urban elementary school prototype, Lakemont Elementary School is an 89,600-square-foot replacement school. The new school includes a two-story administration wing, classroom building wings, computer labs, art and music labs, media center, and a covered outdoor play area. 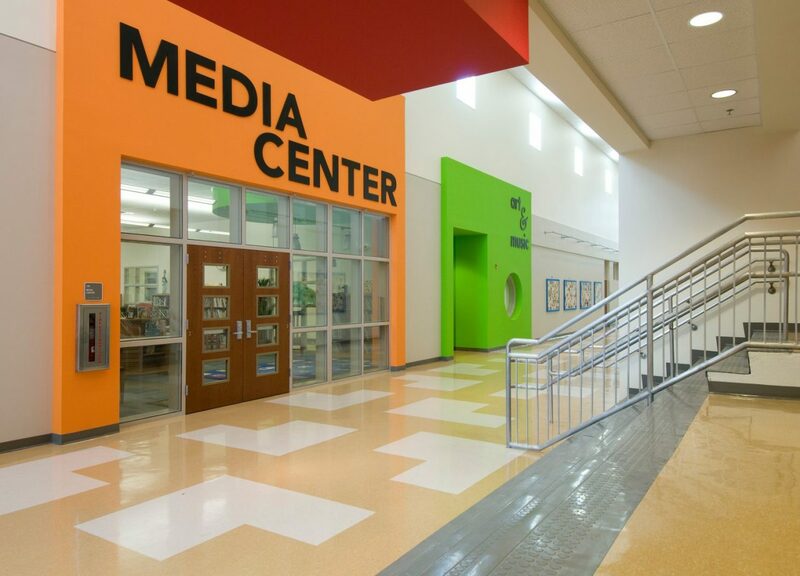 The project also includes a cafetorium which is a combined cafeteria, auditorium and multipurpose space.